Before I explain pneumonia treatment, what is pneumonia? It is the inflammation of the air passage in the lungs resulting from a fungus, bacterial or viral infection. At times, the fungal organisms that cause pneumonia sometimes have no effect on some people unless they have weakened immune system due to HIV/AIDS or other causes that could lower immunity. In many cases, pneumonia is managed under intensive care. It can be fatal if proper care is not taken. It often proves to be fatal in those with weakened immune system and the aged. Certified data has it that 5 to 10% of those who require treatment in the hospital setting die from the disease. Typical of any viral disease, it is possible to contact pneumonia if infected droplets are inhaled by others when a patient coughs or sneezes. At the same time, getting infected also largely depends on the potential’s level of immunity. People with low immunity are more likely to contract the disease than people whose immunity are high. The choice for pneumonia treatment depends on the cause of the infection or the type of organism causing it, the patient’s health status and the probability that the causal organism may be resistant to a particular antibiotic. VACCINES: Certain vaccines are available for the prevention of pneumonia that is caused by bacteria. Such vaccines have limitations because they do not prevent fungal pneumonia. And just like anything pharmaceutical, pneumonia vaccines have accompanying side effects. Some of the common ones are a loss of appetite, redness or swelling, tenderness where the shot is received, muscle pain, fatigue, chills, mild fever, and irritability. ANTIBIOTICS: Pneumonia caused by bacterial or fungal infections are usually treated with antibiotics. It is noteworthy though that these common pneumonia medications of antibiotics have their drawbacks. For instance, beneficial bacteria that reside in the gut can be completely eroded by antibiotics thereby causing negative effects in the gut microbes. This effect can be reduced with the use of probiotics before and after taking antibiotics. Also, extreme care should be taken if non-steroidal anti-inflammatory drugs like aspirin are recommended because of the potential side effects for heart problems, ulcers, kidney problems, gastrointestinal bleeding, negative skin reactions and high blood pressure. HERBAL MEDICINE: The uneasy to swallow truth is that, if one needs an effective pneumonia treatment, it is better to take herb based remedies which have high potentials to give relief without the fear of side effects. Herbs like holy basil, Echinacea, garlic, tea tree, ginger, fenugreek, eucalyptus oil, golden seal, and oregano oil have been used over the years to treat pneumonia. Ginger and garlic, for example, are roots that help eliminate toxins and provide protection against bacterial, viral and parasitic infections by enhancing the immune system. Thankfully, advancement in herbal medicines and cure have made such herbs available in capsule, and other forms. Nonetheless, it is important to prevent all types of pneumonia through healthy lifestyle and hygienic practices. Smoking is dangerous, so quit, wash your hands at all times, give those who have flu, colds and other infections a wide berth and eat healthily. 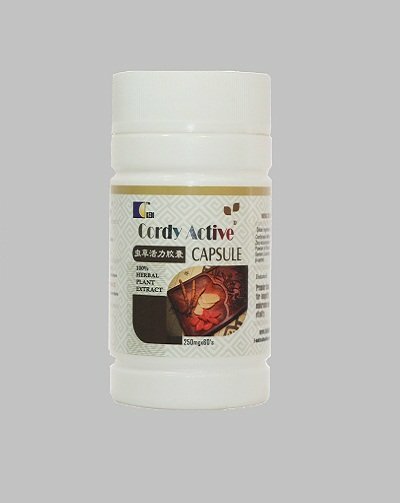 You can order for Cordy Active herbal medicine/supplement for pneumonia treatment. P.S. Product(s) will be deliver in 1 day within Lagos and within 4 working days outside Lagos. Drugs for treatment of tuberculosis: Normally, a cough may just be a natural reaction by the body to clear out a foreign substance that is in the respiratory system. But when coughing gets more severe and lasts for up to 3 weeks, it may just be the sign of a more serious health problem, and one of the most likely culprits will be tuberculosis. This highly infectious disease should be treated urgently as complications may be fatal. Fainting Spells: The brain has long been recognized as the centre of all our cognitive abilities, and even more importantly, it is the seat of consciousness. This organ is what gives us awareness of our surroundings and whatever interferes with its proper function, even for a few seconds can lead to a total loss of consciousness which is what gives rise to it. Paths to conquer asthma, symptoms and causes: Breathing is instinctive. It has been termed an involuntary action because you cannot voluntarily kill yourself by stopping your breath, just a little moment of breathlessness and you will find yourself helplessly gasping for air. But when shortness of breath is caused by a disease, it can become a major problem, and this is the case of those suffering from asthma. Treatment for fatigue, symptoms and causes: Are you always having a feeling of extreme tiredness that totally drains you of any motivation to get up and begin the day? You may be tempted to wave it off as just a normal weakness of the body, but it could just be a case of fatigue. Let us look at what might be the possible causes and the steps to take in treating the condition.